Sunway Velocity Mall is proud to present one of its largest annual campaigns, welcoming the Lunar New Year in traditional Cantonese style. The mall brings patrons grand structures decorated in colours that depict wealth and prosperity. Sights of unique ancient Guangdong and Guangxi architecture plus detailed decorations reveal this year’s theme “A Cantonese Heritage Celebration”. Delight in the whole visual expression that gives essence to the festive celebration. From meaningful Cantonese cultural symbols that are inspired by the Lingnan province and those that represent great fortune and prosperity, plus a flower market that marks a fresh and joyous life signifying rebirth, plus regal embellishments that illustrate a royal shade of red and gold - all these ignite the spirit of the Lunar New Year. 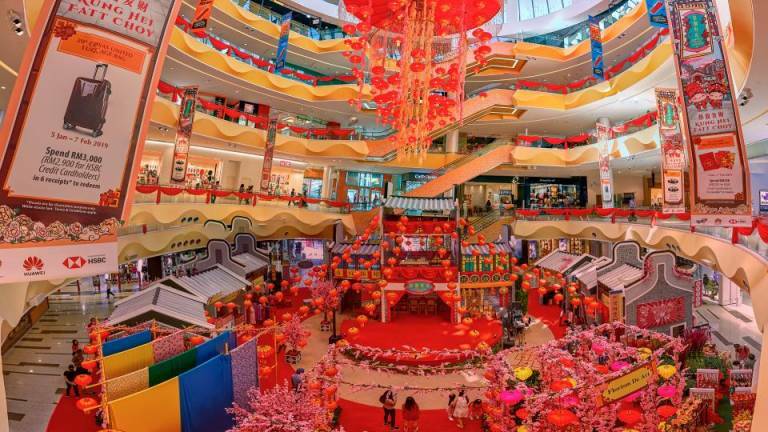 Aligned to the theme this year, Sunway Velocity Mall has a variety of Cantonese cultural workshops ready to take participants on an exciting journey. Learn opera mask-making and Chinese calligraphy or enjoy performances like Cantonese opera and Cantonese old folk songs - these provide great opportunities for families to come together in celebration of the new year. Watch the acrobatic lion dance, Wong Fei Hong Martial Arts performance and venture around the mall to seek The God of Prosperity for some new year blessing and ang pau. Six lucky shoppers stand to receive lucky money consisting of 999 Pure Gold Looney Tunes 3D Ang Pau, courtesy of SK Jewellery. Shoppers will also have many opportunities to win cash vouchers when they participate in the variety of fun and exciting contests like the Pau Eating Contest and Cantonese Tongue Twister. While relishing in the festive decor and activities, remember to check out the variety of booths at Sunway Velocity Mall’s main atrium ground floor, up and ready to serve your festive shopping wants and needs. 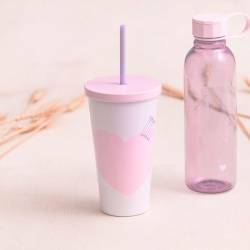 From goods and gifts to traditional Chinese clothing for kids, festive cookies, hampers and Chinese teas - there are also huge offers and discounts from brands like Miss Selfridge, Calvin Klein Watches + Jewelry, Superdry, Hush Puppies, Lacoste, Burton Menswear London, Under Armour, ECCO and more. 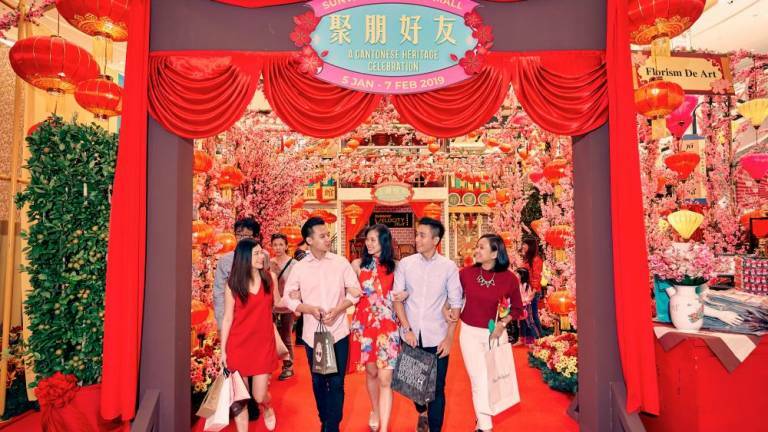 Until Feb 7, shoppers who spend a minimum of RM300 (RM200 for HSBC Credit Card holders) across two receipts, can redeem “All-Season Prosperity Ang Pau” packets. Those who spend RM600 (RM500 for HSBC Credit Card holders across three receipts can choose one of two designs and redeem an exclusive Cantonese Teapot set (the first design will be available from Jan 5 to 21; the second, from Jan 22 to Feb 7). Shoppers who spend a total of RM1,500 (RM1,400 for HSBC Credit Card holders) across five receipts, get the chance to spin “The Wheel of Fortune” where they can win cash vouchers of RM100 each. And those who spend RM3,000 (RM2,900 for HSBC Credit Card holders) across six receipts will be able to redeem a 20” Cosas United Luggage Bag. Savour the traditional scene of a Cantonese village as you shop and enjoy the festive entertainment. The Chinese, especially the younger generation, can learn more about the origins of the Cantonese clan, along with do’s and don’t’s, culture, customs and such. 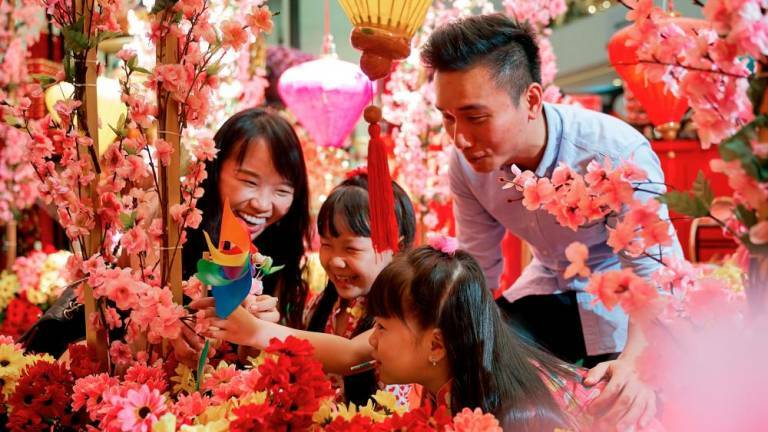 Rekindle, discover and be proud of your Chinese heritage together with friends and family at Sunway Velocity Mall where the celebration has already begun and waiting for you to be a part of. For more information, visit www.sunwayvelocitymall.com or its Facebook page.